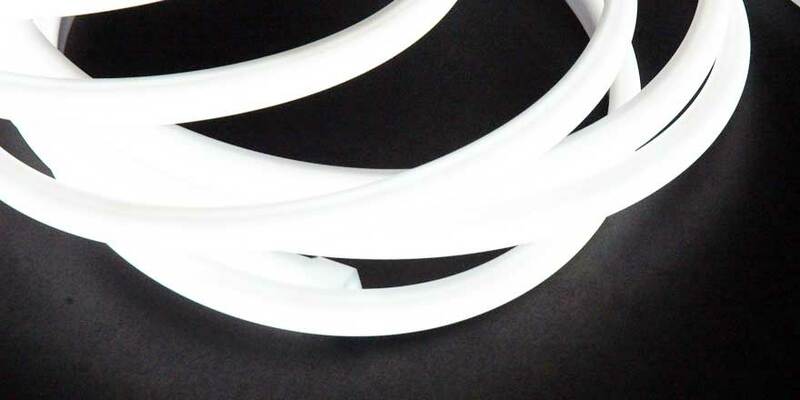 No Spot LED Strip comes in a light optimized water-resistant silicone casing using the newest 2216 SMD LED Chips. The high density 300 LED per meter (or 91 LEDs per foot) allows for an even light without the use of a channel and lens. 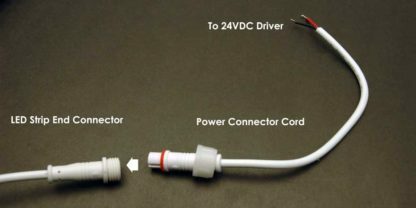 The low voltage 24VDC LED lighting can be cut to size (following the enclosed instruction) with the included end caps and clips in the package The Roll is sold in it maximum length of in 5 meters long (16.4 feet). 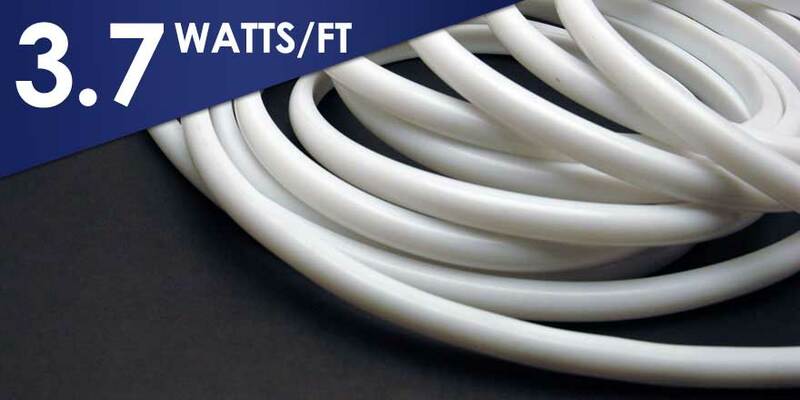 Ideal lighting Strip for applications such as architectural lighting, Cove lighting, concealed lighting, perimeter lighting and many other applications. 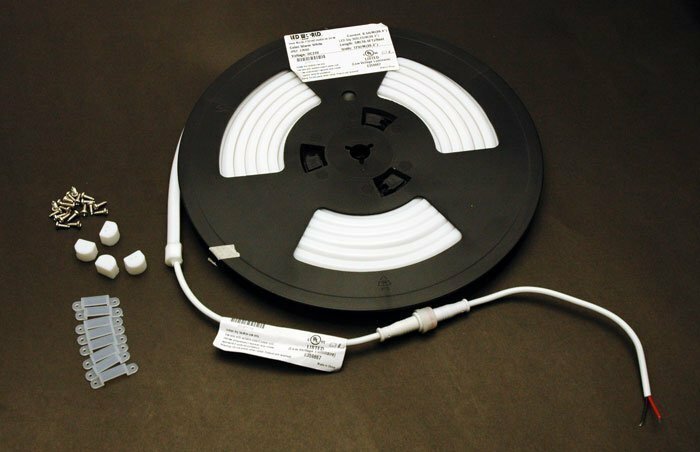 Our No-spotting LED Strips come with connector wire, End Caps and mounting clips. Included accessory makes it easy connection to the Class 2 LED Power supply. Easily mountable into LED World’s optional 13mm U Channel profile (PVC Channel).